Well the year rolls on and the Cuckoo has returned from it’s winter holidays and as usual for any light sleepers the distinctive “cuckoo” will start just at dawn and quite often keep going for most of the day. They also brought a slight rise in temperatures, but the last few days have been rather unusual with clear blue skies and highs of 14 degrees by day and lows of -3 degrees at night. The fishing has remained steady, with 24 fish landed since my last update. 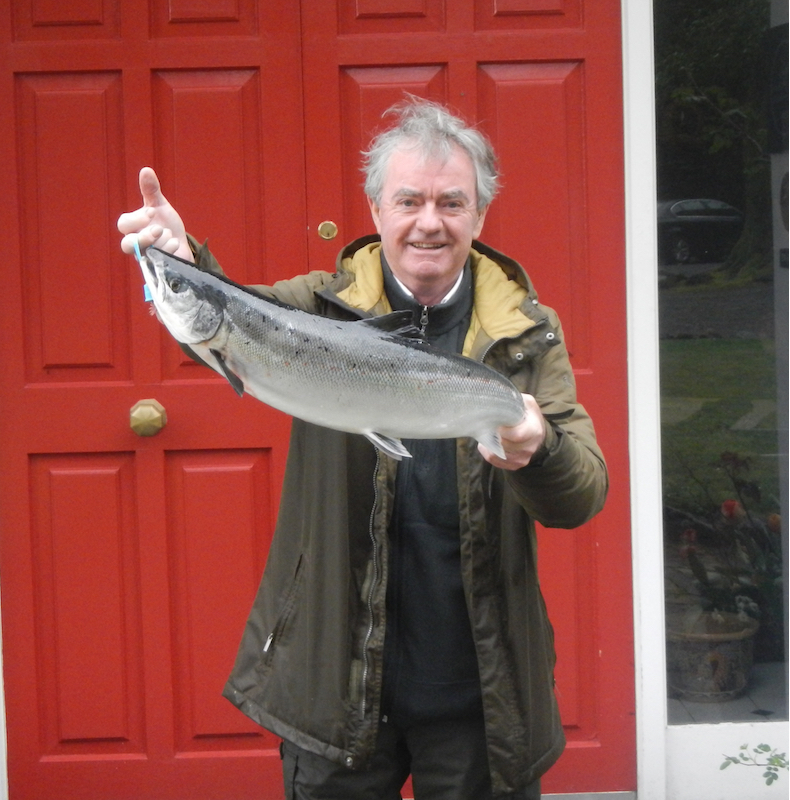 First of these was Alexander Mills, with a fish of 7lbs14ozs from Sligo Bay on Finlough on a Willie Gunn. 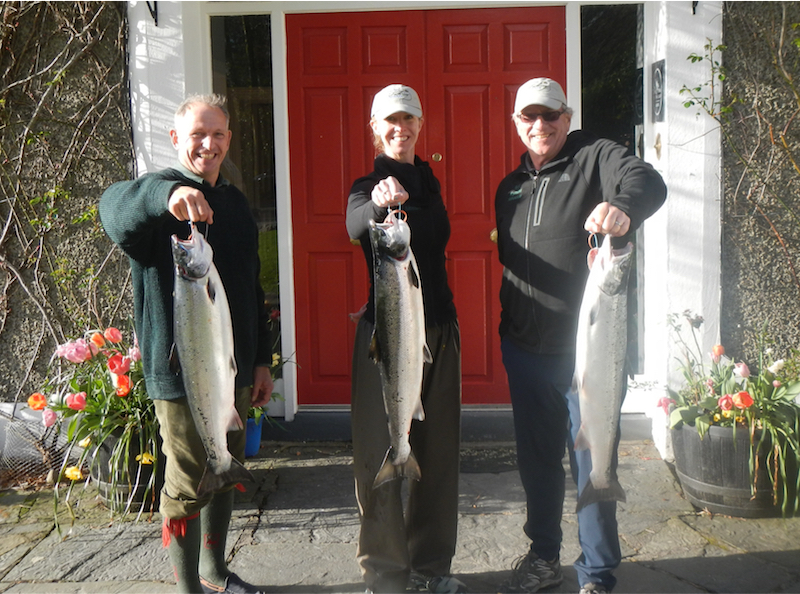 This was followed minutes later by Shannon Healy from California, a complete novice who whilst fishing with her father, managed to land not only her first ever but followed it up with a second fish about an hour later. Both were taken on Finlough on Delphi Collies and weighed in at 8lbs5ozs and approx. 9lbs. Great celebrations ensued but I think it took a while for Shannon to realise the enormity of her achievement. Well done to all involved!! 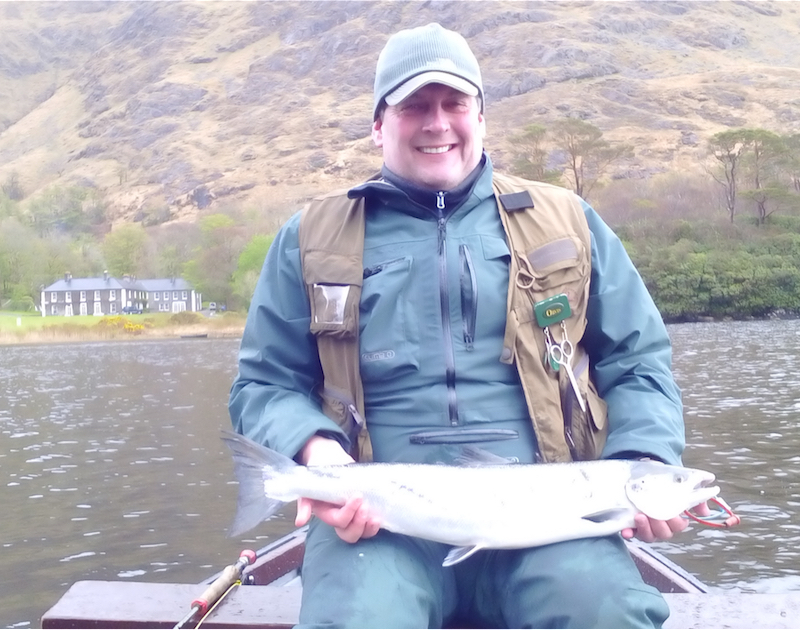 There were five landed the following day, three off Finlough, with Alexander Mills and Bob Hadden having one each on Willie Gunn’s of 8lbs and 6lbs13ozs. 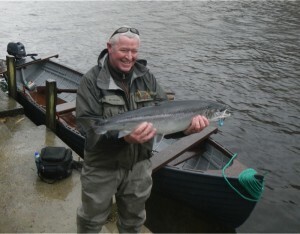 David Lennon also had one of 7lbs on a Delphi Collie. 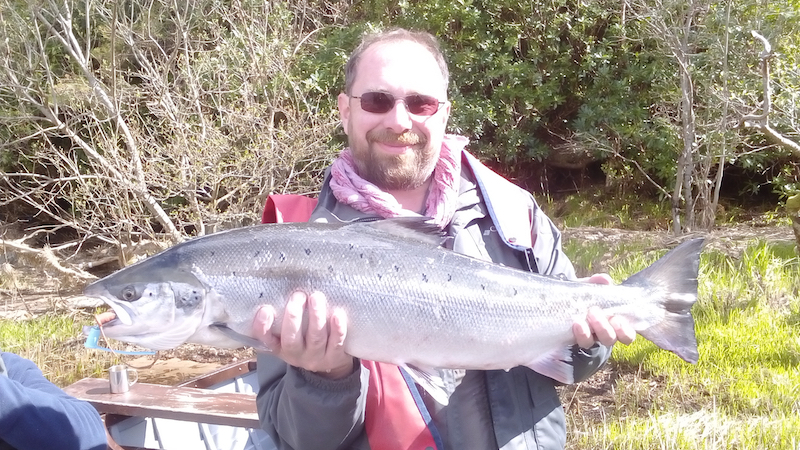 Alan Molloy had a lovely fish of 9lbs1oz from the Meadow Pool on a Collie Dog and John Phelan had a cracking fish of 10lbs7ozs from the Rock Pool on a Delphi Collie. Saturday despite another crack team of anglers we blanked. We got 16.6mms of rain on that night, so maybe the fish knew the rain was coming. 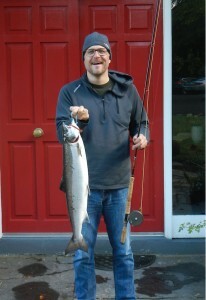 On Sunday morning the river was at 60 and Luke Drea had a fish of 9lbs2ozs on a Cascade Conehead from the Rock Pool. 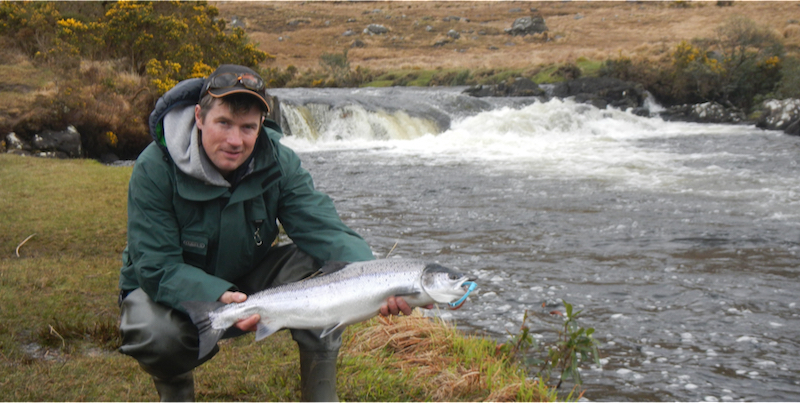 There were two off Finlough in the afternoon, with Konrad Jay having his first ever, a fish of 7lbs3ozs on a Delphi Collie and Luke Drea having a second of approx. 7.5lbs on a Cascade Conehead again. 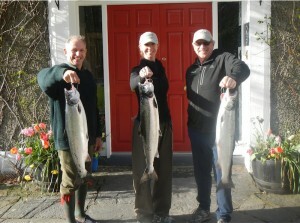 On Monday the river was at 47 and we landed five. 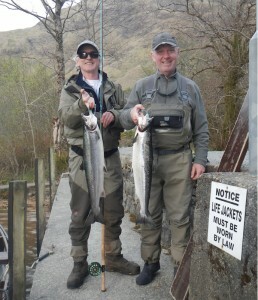 Heinz had two, one from the Rock Pool of 7lbs on a Willie Gunn and one from the Whin of approx. 6lbs on a Collie Dog. Ray Barlow had another off the river in the afternoon of 8lbs14ozs on a Delphi Collie from the Meadow Pool. There were also two off Finlough, Paul O’Malley having one of 8lbs1oz on a Delphi Collie and David Lennon having one of 9lbs also on a Delphi Collie. 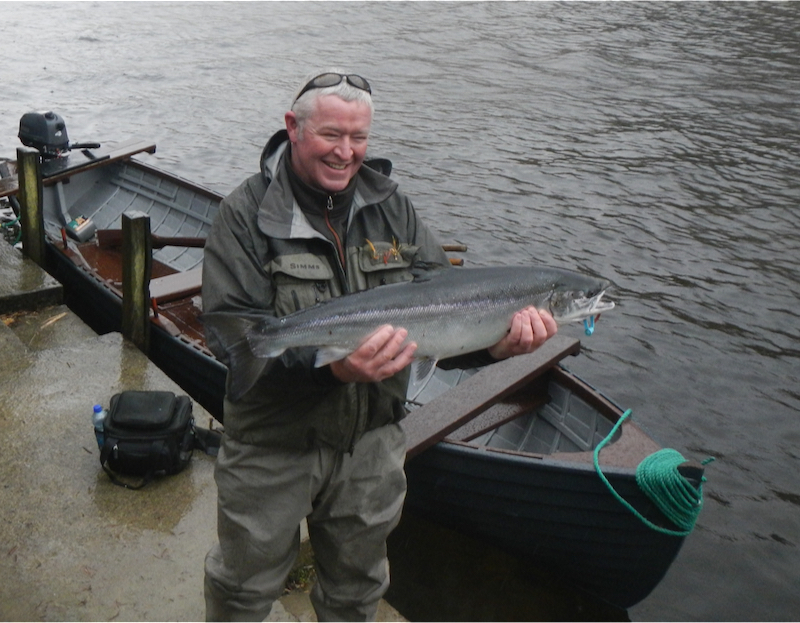 The 24thwas slower with only one, but it was a cracking fish of 12lbs off Finlough landed by Ken O’Boyle on a Delphi Collie. 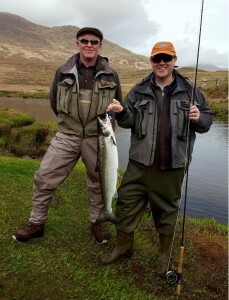 We blanked on the 25thbut Heinz had a fish of approx. 5lbs on the 26thon a Collie Dog from the Meadow Pool. There were two on the 27th. Ian Huet had a fine fish of 12lbs1oz, his first ever, on a Cascade off Finlough and Heinz had one of 9lbs10ozs from the Rock Pool on a Willie Gunn. 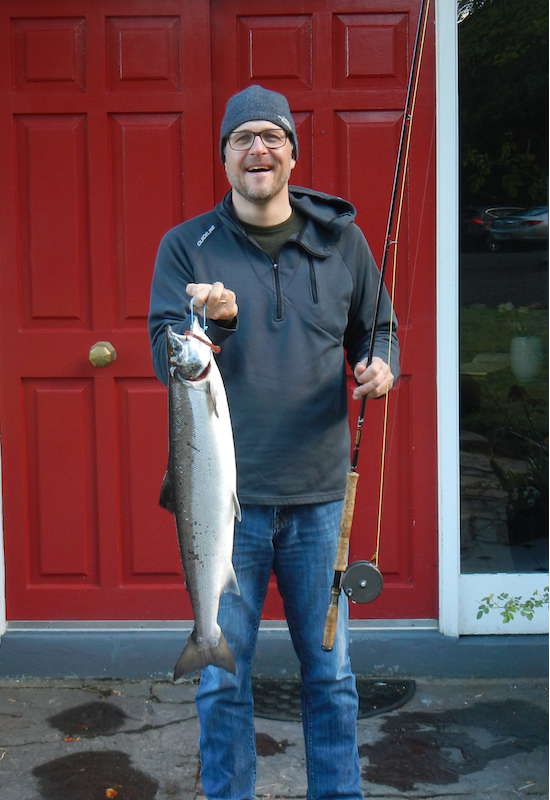 Markus Merz had a fish of 7lbs9ozs from The Schoolhouse on a Cascade on the 28th. There were two landed on the 29thwith Reinhard having one of 9lbs14ozs off Finlough on a Collie Dog and Yvonne having one of approx. 6lbs from the Rock Pool on a Night Star. Yesterday morning saw Maxi Schiedt landing a lovely fish of 8lbs14ozs from the Whin Pool on a Delphi Collie. 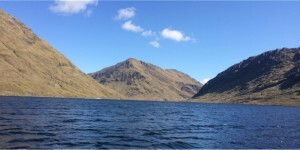 As of yesterday evening, after a few fine days the river had fallen to 27 and it was one of those beautiful days in Connemara where the clarity is just breath taking. This morning the 1stof May is a different story, being one of those grey Connemara days with wind and rain. As a result the river is now at 45 and it looks like there is some broken weather for the next few days, until the weekend when some fine, warm settled weather may be on the horizon.